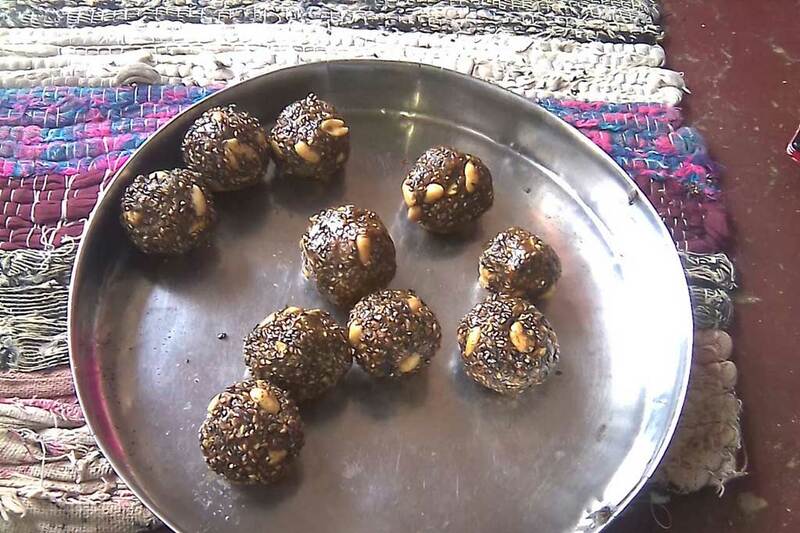 Subhadra, Amrita SeRVe's health worker in Uttarakhand, teaches women in Udulka how to make black sesame seed balls. Some delicious treats have come the way of village kitchens through the teachings of Amrita SeRVe Health Workers. 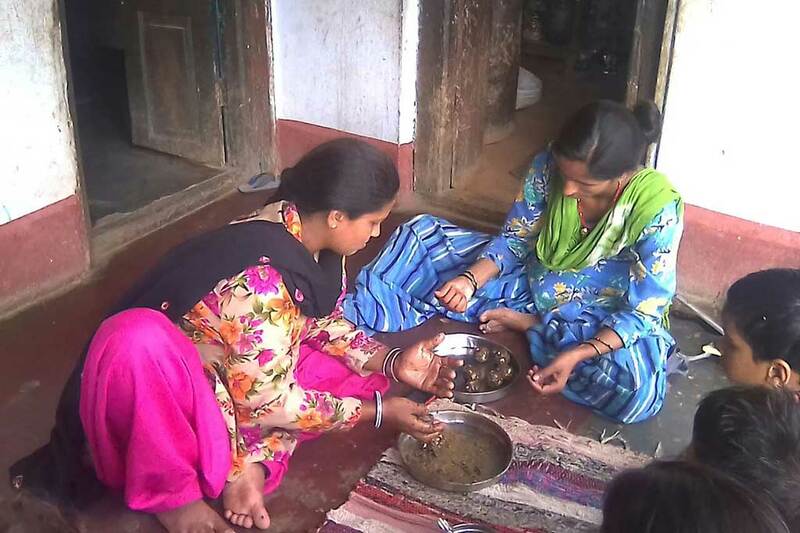 They are showing women how to make kaale til ke laddus (black sesame seed balls). The sweets are very popular because of their incredible taste, but actually also come with many health benefits. Black sesame seeds are the most nutritional among the sesame family, their relatives being red and white sesame. Their nourishment is especially good for children and pregnant women. They are super rich in Vitamin B, Iron and Zinc—all of which boost immunity of the body. They are also rich in Calcium and Magnesium, which help in reducing blood pressure and migraines and also improve bone health. In addition, black sesame is good for the heart because it contains phytosterols and ligand which aid in reducing body cholesterol. As per Ayurveda, black sesame seeds have power to balance all three doshas (energies) of the human body. More than one third of Ayurvedic medicines use them.